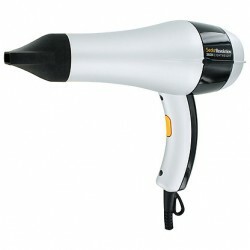 The Sedu Revolution Pro 3600i Lightweight Ionic Styling Hair Dryer is the latest breakthrough in Hair Dryer Technology. Rated the Best Hair Straightener on the market and preferred by top hair stylists around the world, Sedu flat iron straightens, smoothes and tames frizzy for long-lasting results. 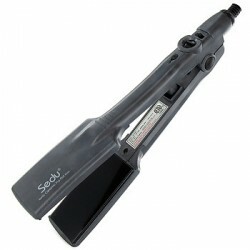 Sedu has developed the ultimate universal voltage styling iron with Diamond technology for plate durability and longevity. Sedu continues to innovate in its line of heat styling products with creativity and the latest advanced technology. One of the first professional hair dryers of its kind with super compact size and light weight design, Sedu Revolution Tourmaline Ionic 4000i Hair Dryer has 60% more power than a conventional dryer. With the most effective tourmaline coated ionic generator, this dryer reduces frizz and static by 90% and cuts drying time in half. Get it today, Sedu Revolution Tourmaline Ionic 4000i Hair Dryer is the only dryer you will ever need! Sedu is proud to be included in the 2016 Oscar gift bags to Oscar nominees!. The Sedu Revolution Clipless Curling Iron creates long lasting curls and voluminous waves that are frizz-free, shiny and long lasting. This professional curling iron is made with Sedu patented polishing process to create an ultra smooth barrel which results in smooth curls. The clipless barrel is the curling tool salon professionals use to create curls without creases. It has adjustable temperature control up to 350F safely curl all types of hair and also features auto-shut off. Sedu Revolution Styling Iron features revolutionary technologies that allow you to create any hairstyle imaginable with half of the time and virtually no damage. 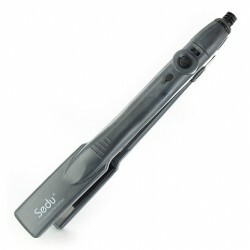 The Sedu Pro 1.5 Ionic Ceramic Flat Iron straightens, smooths and tames frizzy hair. This iron will glide through your hair without pulling or breaking. This bundle also includes Sedu Crane Clips, Sedu Moisturizing Boost and a Heat Proof Mat. For a limited time only, save on the Sedu Revolution 1.5 inch Styling Set which includes the Sedu Revolution 1.5 inch Styling Iron, Sedu Crane Clips, and the Folica Heat Proof Mat/Pouch. The same features and benefits as the traditional Revolution but with a 1.5" plate for faster styling, this highly popular item allows you to create any hairstyle imaginable with half of the time and virtually no damage.This styling iron allows you to straighten hair in no time as well as create beautiful waves, curl, or flip hair. It is an all-in-one styling iron that features everything you need in one set.